FOXES are fascinating to many given their shy and elusive nature as well as their striking beauty which few of us get to properly see outside of nature photographs. Two members of the Wild Inishowen group, talented wildlife photographers Christine Cassidy and Lindsay Hodges, have recently been carrying out an informal study of foxes. They managed to survey the mammals in separate habitats – both rural and urban – with some surprising results. Foxes are mainly nocturnal animals so the chances of seeing them in daylight can be rare and always makes for a special sight. 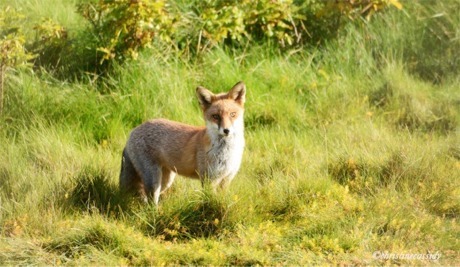 Christine’s observations were mainly in rural settings, with foxes seen in a variety of locations from coastlines to woodlands. "They are adaptable, intelligent and resourceful creatures and sometimes in rural settings can be the masters of disguise, blending in wonderfully within the environment," said Christine. 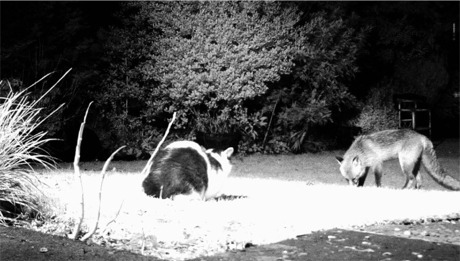 She also managed to photograph them when they sometimes simply crossed her path and has also identified woodland-dwelling foxes by use of a night vision wildlife camera. Her recent daylight images show how the fox in the North West is now prepared to travel and hunt in daytime as hunger dictates and they will eat almost anything. "They can move incredibly quickly and once disturbed, can be gone from sight in the blink of an eye," she said. A fox photographed by Wild Inishowen member Christine Cassidy as part of a recent study of the native mammal. Christine's photographs capture the presence, grace and beauty of this wonderful native species. Meanwhile, Lindsay was surprised to find foxes coming into her suburban garden in the dead of night. She picked up their movements as she recorded badgers that had been leaving their dig marks all over the grass. Over a period of time, she was able to identify several different foxes who used the garden as a crossing point en route to their den in a more secure setting. "These foxes were quick to detect the presence of peanuts left over from daytime bird feeders and being foragers by nature, were happy to take advantage of rich pickings," said Lindsay. "These foxes are extremely vocal at the moment, as the mating season begins, and the vixen who has been recently coming to the garden has been calling constantly, an eerie piercing call that carries far on the still night air to alert the male," she added. A fox photographed by Wild Inishowen member Lindsay Hodges as part of a recent study of the native mammal. The two talented wildlife photographers also note that within a urban environment, there is a hierarchy amongst animals, with the domestic cat being top, badger in the middle and fox at the bottom. Lindsay said she has witnessed both cats and badgers scare the more wary foxes off while they remarkably can also co-exist together. Christine and Lindsay’s research and images demonstrate that "foxes are always there around us, managing to survive sometimes against the odds and often alongside us, even if we do not always know they are there!" To view more photos click here .